Giving back to the community is a cornerstone of our culture and company mission. We feel honored to have the opportunity to serve our communities and are thankful for our clients, whose business makes it possible. Below are some of the ways we support communities across the United States and abroad. Each quarter, the InfoTrust team creates a list of causes or organizations that we would like to donate our time and/or money to. We then arrange a quarterly service event based on the area where people feel most passionate about contributing. Every quarter is different, and we’ve participated in service events ranging from providing care package to homeless veterans to serving families at the Ronald McDonald House. 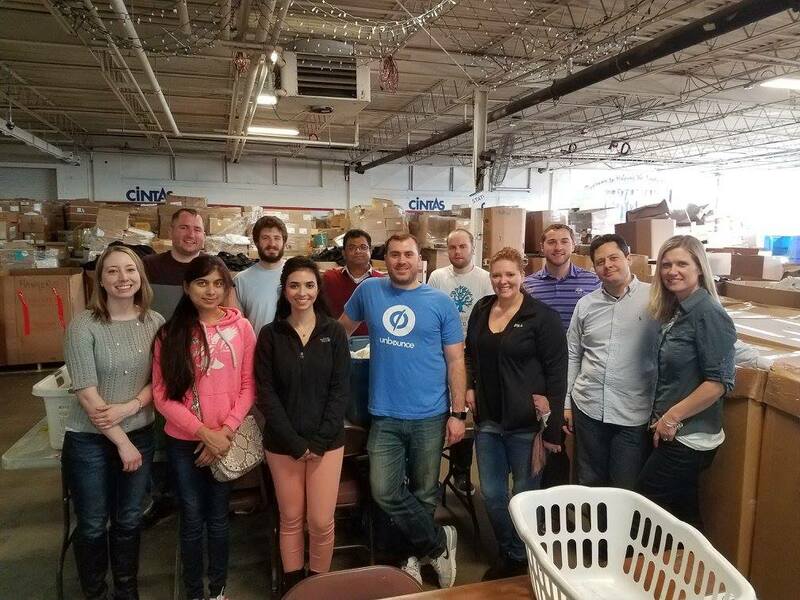 Every Thanksgiving season, the InfoTrust office comes alive with preparation for the annual Thanksgiving Basket Brigade, which brings the essentials of Thanksgiving dinner (from mashed potatoes to turkey and everything in between) to families in need. We partner with local businesses for contributions and organizations, such as Children’s Hospitals and VA Medical Centers, to identify families. 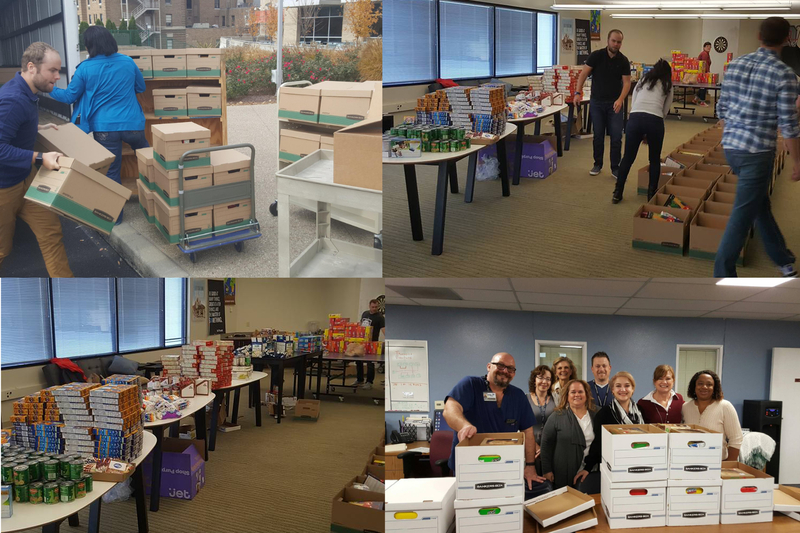 Every employee contributes food for the baskets and, on the big day, the office bands together to pack and deliver them to the organizations. Started in 2013, we’ve grown from serving 30 families in Cincinnati to 430 families world-wide. Baskets include everything a family needs to create a holiday dinner (and beyond), from cereal for breakfast to all of the fixings and a gift card for dinner perishables. Care packages are tailored to the needs of the community, often including blankets and food for the homeless or self-care items for women's shelters. Natural disaster relief comes in many forms, including fresh water, clothes, and non-perishable foods that are provided to relief programs and, locally, Matthew: 25 Ministries. In many countries, cleaning products and children's school supplies are prohibitively expensive to those in need, so we are honored to help provide these items. Paige’s Princess Foundation is near and dear to our heart. Heather Alessandro, former VP of Operations at InfoTrust, began Paige’s Princess Foundation to memorialize her daughter Paige, who passed away in May of 2010. 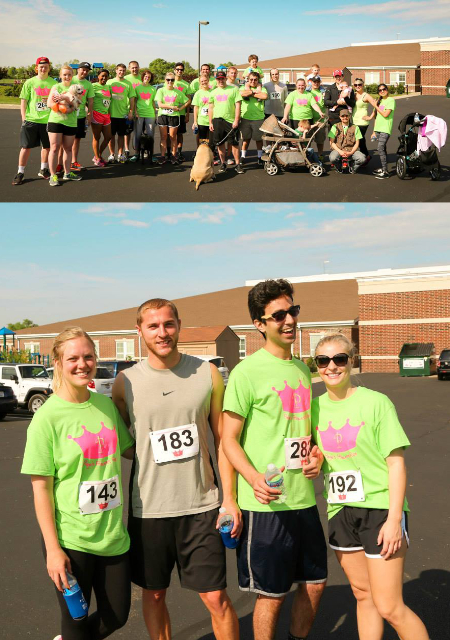 Each year, employees sponsor and participate in Paige’s Princess Run, which raises money for the foundation to provide small grants to pediatric patients with life-long disabilities.